Acting on a tip-off about imminent shipment of narcotics across the border into Iran, border guards seized a haul of 1,460 kilograms of opium in southern Iran. Some 1,460 kilograms of opium was confiscated in Saravan, the commander of Sistan and Baluchestan Border Guards said on Tuesday. 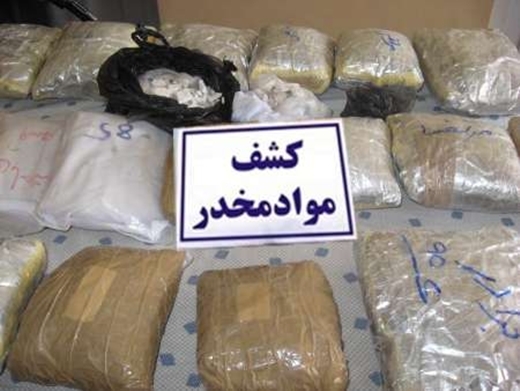 Acting on a tip-off about imminent shipment of narcotics across the border into Iran, border guards took up positions along the border where they assumed the traffickers might want to smuggle drugs into the country. Staging targeted ambushes, they identified an automobile attempting to enter the country illegally, the commander said. The forces immediately stopped the vehicle, but the traffickers fled a border village after minutes of armed clashes with police, he said. Habibi further said that inspecting the village, guards found the hideout of the traffickers who abandoned the haul of narcotics and fled. The package contained over one ton of opium, he said.